Trond Heldal is behind what could be the next generation of smart clothes, says the leading weekly technical magazine, Teknisk Ukeblad, in a lead up to a long Podacast with Trond Heldal. If you understand Norwegian, you will enjoy listening to the full podcast here. 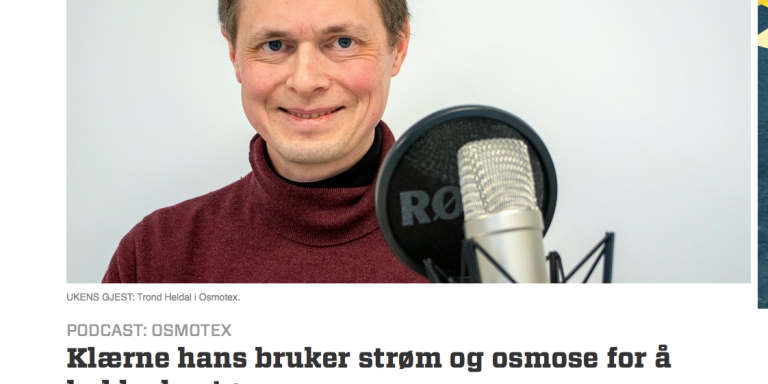 The podcasts explaines how Osmotex uses electricity and osmosis to move moisture from inside the outerwear and into the air. “That’s what the so-called membrane chains promised when they came in the 70’s, as we all know, the advertising is better than the impact,” the journalist writes.